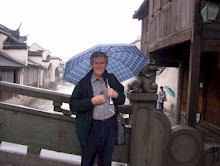 Glen Phillips is a West Australian writer and is an Honorary Professor of English at Edith Cowan University, Perth and Director of the University’s International Centre for Landscape and Language. Born in Western Australia in 1936, in the remote gold-mining town of Southern Cross, he was brought up mainly in outback wheatbelt areas where he developed not only a strong identification with the Australian landscape but an early love of Australian literature. He has been an executive member of the English Teachers Association, the Fellowship of Australian Writers (also National President), PEN International (Perth), the WA Writers' Council, the WA Writers Forum, the Katharine Susannah Prichard Foundation, the Peter Cowan Writers Centre, The Australian Association of Writing Programs, WritingWA, and the Children's Book Council. He is founder, Patron and an Honorary Life Member of the Katharine Susannah Prichard Writers Centre and also of the Peter Cowan Writers Centre and the Fellowship of Australian Writers (WA). Glen has a total of 8 co-edited poetry and essay collections and student text books. His poetry has won prizes and appeared in more than 50 American, British, Italian, Thai, Singaporean, Chinese, Korean, Indian and Australian journals and/or anthologies. 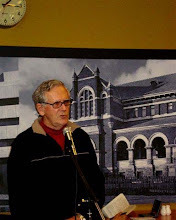 His own ten poetry collections include Intersections, (Perth, 1972), Umbria-Australia, Green and Gold, (Perugia, Italy 1986, with Walter Cerquetti), Poetry in Motion (Perth, 1988 with three other WA poets who had formed in 1985 the well-known "Poetry in Motion" performance group), Sacrificing the Leaves (Bangkok, 1988), Lovesongs, Lovescenes (Perth, 1991), Spring Burning (Perth, 1999), Singing Granites (Salcombe, UK, 2008, with Anne Born), Shanghai Suite (Perth, 2009) and Redshift Cosmology (Perth, 2009). His The Moon Belongs to No One is in press with Salt Publishing. 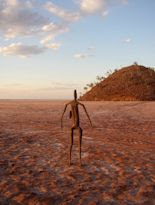 He has also joint-edited several anthologies of poetry and prose of Western Australian authors, and more recently in 2008 the poetry component of Lines in the Sand: New Writing from Western Australia. Glen has judged many literary competitions at state and national level. Over the years Glen Phillips has completed a number of joint projects with writers, composers, choreographers and painters and has received awards and commissions for his work. Five of his short stories have been published in journals and his novella, ‘Afterwards’ was highly praised by the examiners when it formed part of his PhD in Writing in 1996. One of his stories has been short listed for a major Australian short story competition and another published in China in translation. In 2000 he co-edited Fairly Obsessive, a collection of essays on the work of John Kinsella and in 2008 co-edited Contrary Rhetoric:Lectures on Landscape and Language by John Kinsella. In total he has 10 collections of poetry and appears in 20 anthologies. He has completed more than 1500 poems, 30 short stories and has four novels under way. He lives in Mount Lawley, a suburb of Perth.